Having served as a local church pastor for 25 years, and a district superintendent for 12 years, Dr. Jeren Rowell has a passion for and deep commitment to the life and work of parish ministry. The church at its best lives and serves together under the lordship of Jesus in ways that the congregation’s life becomes a living and observable paradigm of the reign of God in Christ Jesus. This passion led Dr. Rowell toward the Seminary as a pastor, superintendent, instructor, professor, and now as president. He believes that what we do in helping to shape ministers of the gospel for the church should impact positively what happens in local churches all over the world every week. His great joy is time spent with his wife, four children and their spouses, and six grandchildren. He loves baseball (Chicago Cubs), music (especially big band jazz), and ice cream. Dr. Diane Leclerc grew up in Maryland and graduated from Eastern Nazarene College, Nazarene Theological Seminary (M.Div), and Drew University (Ph.D.). She has published numerous articles and seven books, including Discovering Christian Holiness. She is a past president of the Wesleyan Theological Society, and is on the Articles of Faith Committee. She has pastored congregations in Maine and Idaho. In addition to her service at NNU as Professor of Historical Theology for the last 21 years, she also presently serves as Staff Pastor to University Students at College Church of the Nazarene. She also has a women’s Bible study at the church, where she ministers to about 75 older women every Tuesday. She has a 23 year old son, Ethan--the greatest joy of her life. ​Scott Shaw has been the Intermountain District Superintendent since April 2015. He had been Senior Pastor of Bremerton First Church of the Nazarene, Bremerton, WA for 23 years. He pastored in Pasco, WA for 8 years before moving to Bremerton. Rev. Shaw is a graduate of both NNC(U) and NTS. Discovering ways that God transforms lives is Scott’s passion. 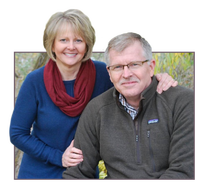 Scott and his wife, Vicki, are deeply committed to each other and their family. Registration form available soon. Prefer to register over the phone or have questions? We're sorry, online registration is not available for this event. ​Please fill out the form or call our office. Thank you!